I would like to share with you the sweetness of my house, my home, my haven, which I pamper with love. You will spend hours of rest and tranquility as these images arouse. 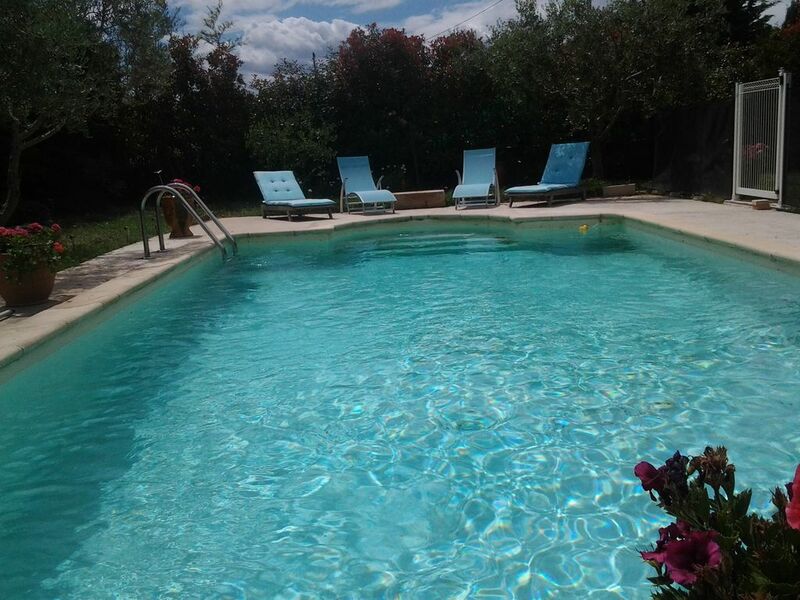 Flowered garden with trees, shaded terrace, sunny pool and comfort of the apartment, everything is there to ensure a nice holiday at the foot of the Alpilles, heart of Provence, country dear to Mistral. My house will offer you all the comfort you need for today's life. There is even a small vegetable garden that sees its seasonal vegetables grow! Tomatoes and eggplants await you to enjoy their incomparable flavor ... There is even a ping-pong table ... and even bicycles to get your bread! My house resonates with family and friendly celebrations that take place there frequently. I hope that you will have as much pleasure to stay at home as I live there every day. Good holidays !I would like to share with you the sweetness of my house, my home, my haven, which I pamper with love. Maison parfaite pour les vacances, cadre charmant, jardin génial, village très jolie. Nous avons passé d’excellentes vacances dans un village qui se trouve à proximité de plein de choses. Idéal si vous souhaitez mélanger vacances culturelles et vacances farnientes.